Engaging parents who are hesitant to approve vaccines for their children is the best strategy to address immunization anxieties, suggests a viewpoint recently published in the Journal of the American Medical Association. While better communication strategies may result in overcoming parental hesitance 30-47 percent of the time, the viewpoint's three authors suggest progress ensues when physicians' better understand a parent's perspective about vaccines. The authors write (and we quote): 'most vaccine-hesitant parents believe they are protecting their own children. Understanding their values and being open to genuine, respectful conversations with vaccine-hesitant parents may improve patient-clinical relationships and the likelihood that vaccine-evidence will be considered' (end of quote). The authors, who are from the Washington University School of Medicine in St. Louis, explain why some parents dismiss evidence that immunizations save two to three million lives annually and note some of the reasons why some parents are reluctant to vaccinate their children. For example, the authors explain that parents who dismiss evidence about vaccine safety and efficacy sometimes display what is called (and we quote) 'omission bias' (end of quote). The authors write [and we quote]: 'People often feel guiltier committing an action (doing something that could cause harm) than omitting an action (failing to do something that then leads to harm)' [end of quote]. To counter parental reluctance, the authors suggest physicians first try to establish a common ground about a mutual desirability to promote child health and safety. The authors then suggest physicians add stories that illustrate some of the evidence regarding vaccine safety. The authors write (and we quote): 'For example, clinicians could discuss the risks of contracting a vaccine-preventable disease compared with the risks of a vaccine-related adverse effect, coupled with a story about a patient who contracted a vaccine-preventable disease' (end of quote). Among other suggestions, the authors encourage physicians to provide resources that help parents critically evaluate news and social media coverage about vaccine safety. We should add that MedlinePlus.gov's evaluating health information health topic page provides information about how to assess medical information from the news media as well as other sources. The authors conclude physicians should avoid dismissing a parent (or a patient) when he or she questions a vaccine's necessity because a rejection can lead to a polarization of ideas. Instead, the authors suggest (and we quote): 'engaging with patients can build patient-clinical relationships and can help both understand each other's perspective' (end of quote). Meanwhile, MedlinePlus.gov provides an overview (written for parents) of child vaccines and why a young person should be vaccinated within the 'start here' section of MedlinePlus.gov's childhood immunization health topic page. 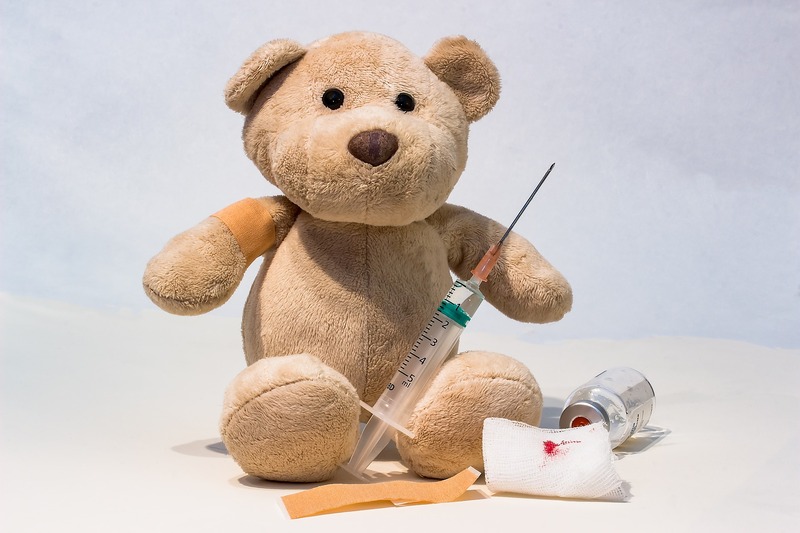 To add perspective, the U.S. Centers for Disease Control and Prevention explains the public health consequences if child immunization programs ceased within the 'related issues' section of MedlinePlus.gov's childhood immunization health topic page. MedlinePlus.gov's childhood immunization health topic page additionally provides links to the latest pertinent journal research articles, which are available in the 'journal articles' section. Clinical trials that may be occurring in your area can be found in the 'clinical trials' section. You can sign up to receive updates about childhood immunization as they become available on MedlinePlus.gov.